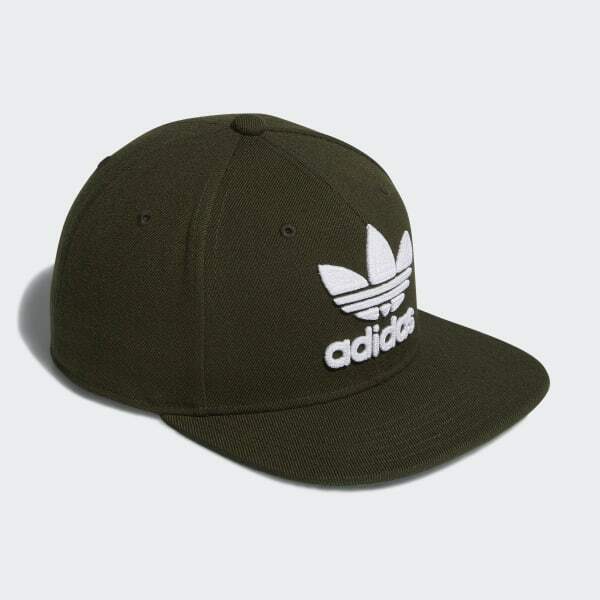 A casual cap with an embroidered logo. A classic logo look with a fresh feel. A bit of wool adds structure to this snapback hat. It's detailed with a chain-stitched Trefoil logo to add subtle texture.